Join us to learn practical ways to incorporate sustainable practices in your everyday life, at home and at work. The program will provide an introduction to the concept of a circular economy, which moves away from the current linear processes (taking resources, using them once, and then tossing them into landfill) to a more efficient, clean, and profitable economy that designs waste out of the system. 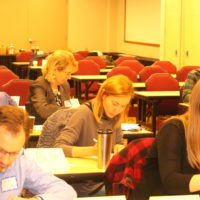 The program will be presented by Barbara Englehart, a management and business sustainability expert who applies a business oriented approach to sustainability using her product management and technology skills acquired from 12 years experience at MCI and Verizon and financial skills acquired as an MBA and CPA at Arthur Andersen early in her career. Barbara has spent the past 5 years helping non-profits, local communities, schools, and businesses implement sustainable solutions that are good for the planet and good for the bottom line. Barbara Englehart serves as the Director of Sustainable Business for Leaders in Energy. 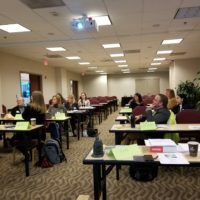 Leaders in Energy presented a Circular Economy workshop in Alexandria, VA and is an organizational member of the Circular Economy Global Network map managed by the Ellen MacArthur Foundation. What Is a Geo Sapien?Come Join Us at the Oatlands Strawberry Festival on May 30!